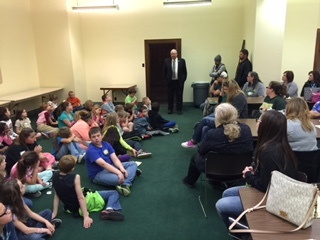 On Tuesday afternoon, May 5th I met with 3rd and 4th grade students, teachers, and sponsors from Twin River School, Genoa and Silver Creek. 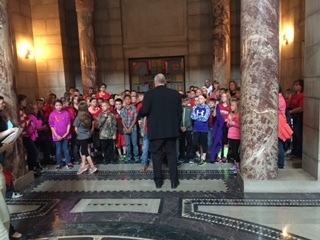 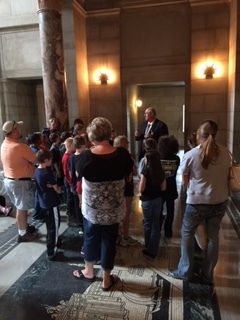 It’s that time of year again when school children from all across Nebraska make field trips to the State Capitol in Lincoln. 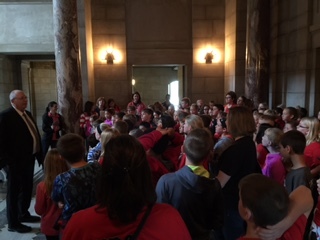 And this year is no exception! 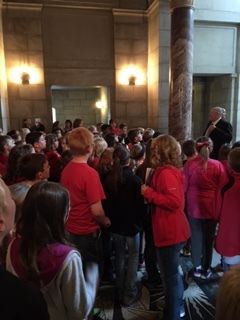 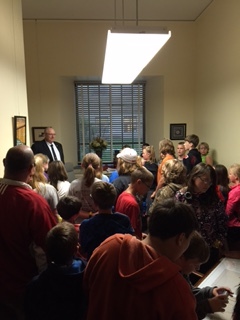 On Tuesday morning May 5th, I got to visit with 4th grade students, teachers, and sponsors from Aurora Elementary. 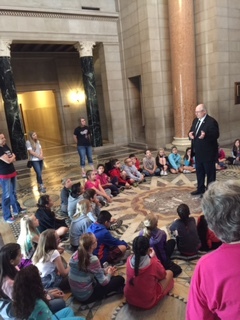 Last Thursday I had the opportunity to visit with 50 fourth graders, and their teachers and some parents, from Central City Elementary school. 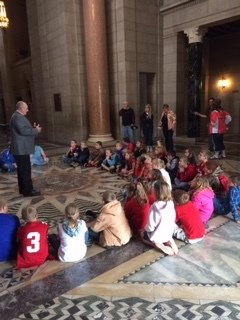 They were here to visit the Legislature and to tour the State Capitol Building. 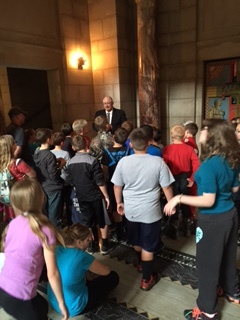 I’m glad they had time to stop and see me also. 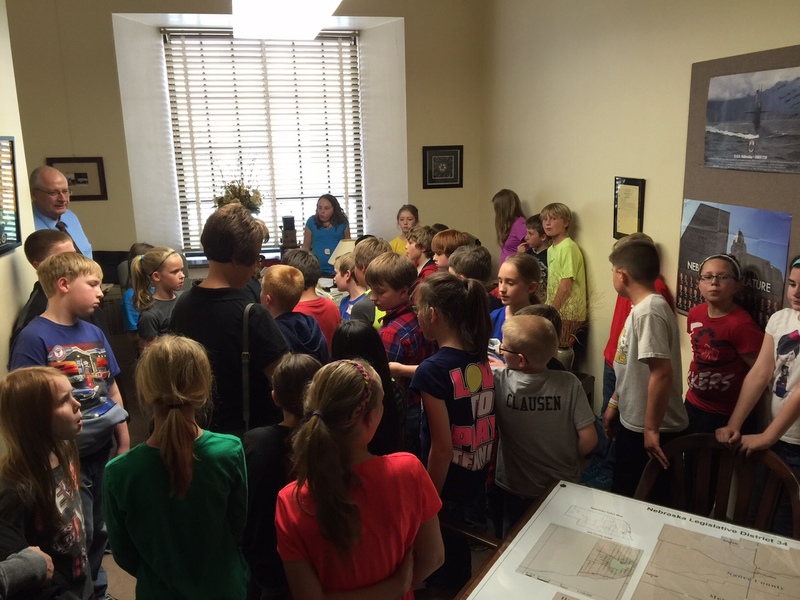 They asked a lot of questions!